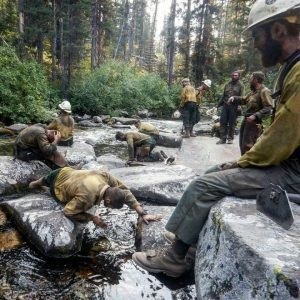 Firefighters who have been working to quell the Eagle Creek fire, started on September 2. Photo credit: Angel Gordon. While waterlogged Florida and Texas recover from hurricanes Harvey and Irma, the American West burns. Currently, 10 states are battling massive wildfires–including Oregon, which, despite a very wet winter and spring, hasn’t seen significant rain in nearly 3 months. 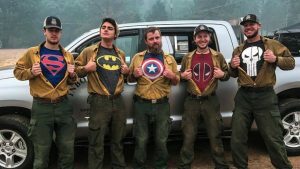 While most of the wildfires there were started naturally, four in Southern Oregon were set by a man from Utah, and the Eagle Creek fire, the worst one in Oregon’s history was started by a 15-year-old boy from Vancouver, Washington, when he tossed a smoke bomb into a ravine. Oregon, seen from the Washington side of the Columbia River. Photo credits: Unknown. 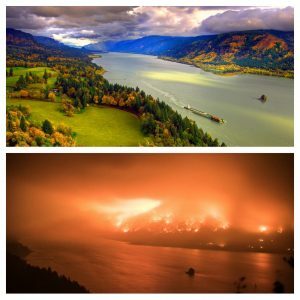 A few days after starting, the fire jumped the Columbia River from Oregon to Washington, igniting brush almost five miles away. Ash gets everywhere. The camps for the firefighters are coated with it, forcing the men and women to breathe it both day and night. In Portland, OR–which is approximately 60 miles from the Eagle Creek Fire–people are finding ash in their homes, despite keeping windows closed, in and on their cars, coating patios and plants. Many have remarked the eerie, apocalyptic sky and the fine rain of ash trickling down is reminiscent the Mt. St. Helens eruption in 1980. There have been 9 firefighter deaths across the wildfire-choked states. 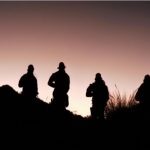 But that hasn’t stopped the men and women from working tirelessly in toxic air, no days off, enduring unfathomable insults ranging from having their cars stolen and their tents trashed, to people jeering them when they do manage to slip into town for a break. Jake, a 19-year-old firefighter, stares down flames in Horse Prairie, outside of Riddle, OR. Photo Credit: Oregon State Police. 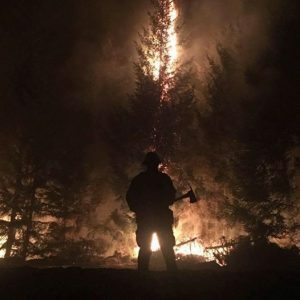 The Eagle Creek fire is now, as of this post, close to 12% contained–a daily success rate of nearly 1%–and other fires have been successfully suppressed. Umatilla, Oregon firefighters taking a brief rest. Photo credit: Unknown. Here at SealGrinderPT, we salute all firefighters and first responders who think nothing of putting the homes and lives of others before their own. Let us know what you think in the comments; if you do, we’ll send you FREE SEALGrinderPT stickers! Music: “Kryptonite” by 3 Doors Down. Question: The holidays are coming up and this year I don’t want to put on the weight I always do. I want to get a jump start on losing weight I’m already carrying, and keeping myself focused on keeping it off. Answer: Check out our 180-Day Pre-Programmed Training Course. 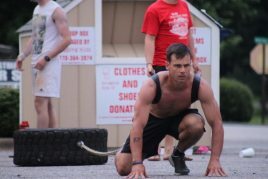 Not only do you get killer workouts but if you have a training question you can email me at anytime. This comes with a full guarantee that this workout will help you or your money back. 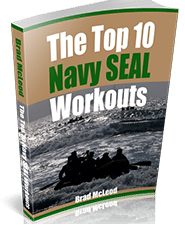 Hundreds of athletes have used this program with great results. Question: Hi. Do you have any training programs designed exclusively for women athletes? Answer: Yes, we do. 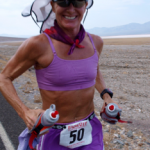 The 90-Day Female Endurance Athlete Training Course. Workouts are scaleable. You can also do our daily workouts posted in the Membership Area. Does your schedule make it hard to eat as healthy as you’d like? Try Athletic Greens. One scoop delivers 11 important superfoods, is chock full of essential vitamins and amino acids and mixes great with protein shakes.